INDIANAPOLIS, IND. (September 19, 2018) — Klipsch®, a tech-driven audio company, is pleased to introduce its new ‘Keepers of the Sound®’ video series, which was inspired by audio pioneer and company founder Paul W. Klipsch, who created speakers to reproduce the power, detail and emotion of the live music experience in the home. The video series celebrates pioneers of all crafts — spotlighting those who’ve stayed true to a vision of preserving their rich heritage, while adapting to today’s tech-driven world. These pioneers give insights into how listening to music through Klipsch speakers drives their spirit and their endeavors. The first installment in the video series features legendary American singer-songwriter and producer Butch Walker. Walker played in various metal/alternative bands from 1980- 2001 and began his solo career in 2002. He was named Rolling Stone’s “Producer of the Year” in 2005. Walker performed on, wrote and produced albums for artists including Taylor Swift, Train, Pink, Avril Lavigne, Keith Urban, Katy Perry, The Struts, Panic! At the Disco, Pete Yorn, Harry Connick Jr., Weezer, Fall Out Boy, and many more. Butch Walker grew up when audio was primarily analog-driven and he prefers to make music and create his sound by hand. His relentless attention to detail in his recording process captures a rich, full spectrum of audio, which in turn, offers a better listening experience. This spirit embodies the principles that Klipsch stands for. 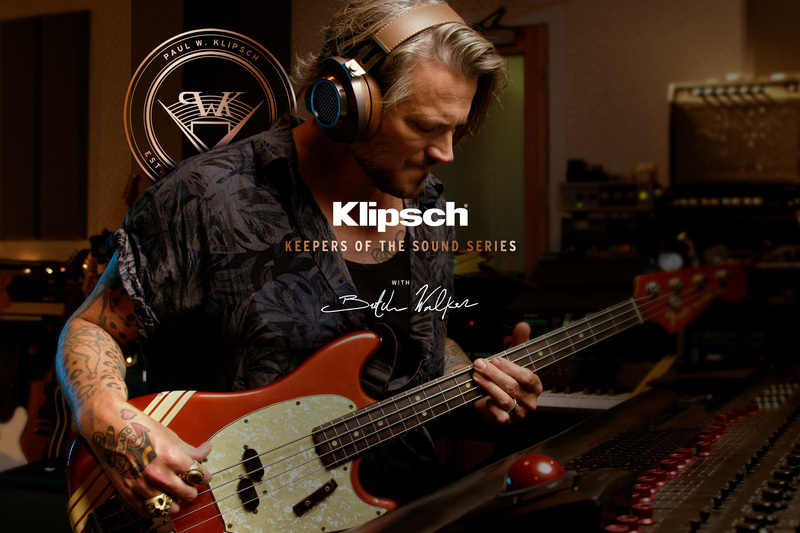 Watch the ‘Keepers of the Sound” video featuring Butch Walker at www.klipsch.com/keepersofthesound. For more information on the Klipsch brand and its legendary speakers, visit Klipsch.com.